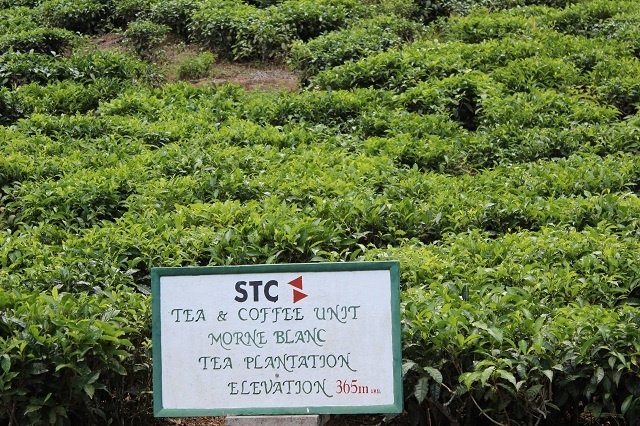 The Seychelles Trading Company (STC) is offering guided tours at its factory and plantation, which is dotted with several nature trails, said Priyanga Tennege, manager of STC's tea and coffee unit. The factory producing the brand ‘SeyTe’ is situated in the hills of Morne Blanc, in the western Mahe district of Port Glaud. “What we are proposing are trails, with visits to the gardens, visits of nature trails nearby such as Morne Seychellois, Fairview/Rosebelle and Morne Blanc, as well as visits in the national parks area,” said Tennege. The factory manager said the walks will allow visitors to discover interesting species endemic to Seychelles, an archipelago in the western Indian Ocean, such as the pitcher plants and the smallest frog in the world which is endemic to Seychelles..
”In addition, we are proposing bird watching, biking, and hiking as well as visits to the tea tavern, tea museum and tea tasting,” Tennege added. Clients can afterwards enjoy a cup of tea, hot or cold, at the tea tavern which will offer the best “cuppa” in the island once the Tea Tavern Restaurant is fully refurbished with a spectacular view of the western parts of the main island. 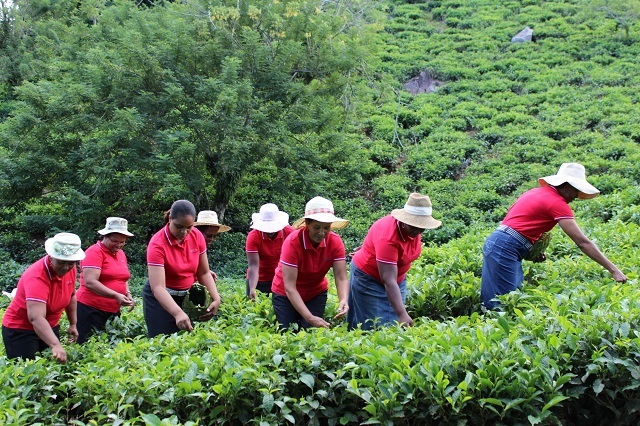 The tea unit of the Seychelles Trading Company harvests, blends and processes the teas in its state-of-the-art factory which still uses traditional orthodox methods which is centuries old. Tennege explained that the tea leaves once plucked go through several processes which include withering, rolling, roll breaking fermentation, firing, sifting and grading. The locally produced ‘SeyTe’ is still very much in demand by locals and visitors and production continues to increase and has now reached 100,000 kilos annually. “The ‘SeyTe’ product is well sought and appreciated by both locals and tourists. Even though there is potential for exportation, we will still focus on the local market,” said Tennege. 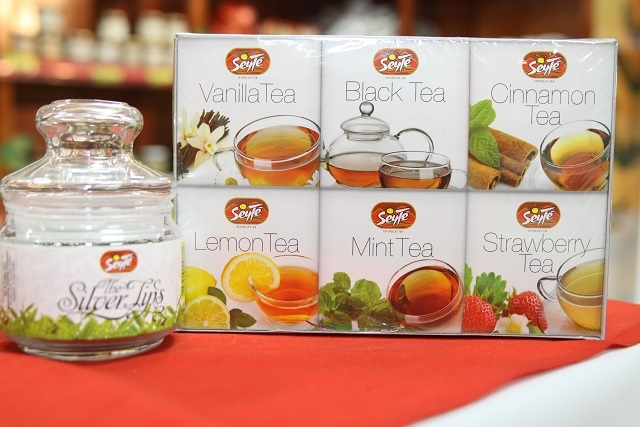 The special vanilla tea remains the best seller among the products from the tea factory managed by the Seychelles Trading Company. Tea, said to be the second most widely consumed beverage after water, was introduced in Seychelles in 1960 by Scottish Bill Henderson, who brought in Francis Drybrough, a tea planter from Kenya. Together they created the first nursery at Port Glaud with 1000kg of tea seeds Drybrough brought from Kenya. Described as the pioneer of Seychelles tea, Bill Henderson now residing in Australia, has visited the plantation several times. In the past, around 300 acres of land was chosen for planting, in the hills of Morne Blanc. The factory was constructed in 1966, and soon tea from the islands was exported to the United Kingdom, Germany and Japan. When Princess Margaret of Great Britain visited the island nation in 1975, she visited the tea tavern which was open in 1972.